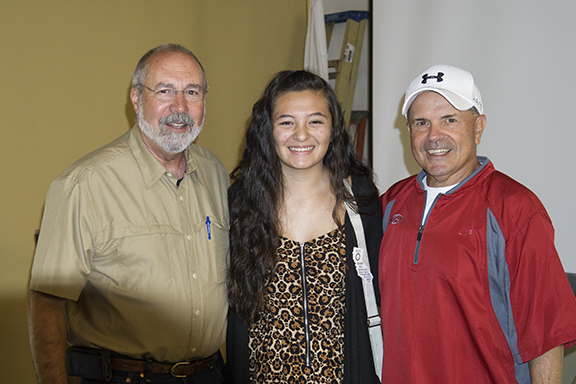 Pictured here left to right at last week's meeting are speaker chair Wayne Lowery, RYE outbound student Kendall Hoy and Motivation Speaker Tony Asaro who used to work for the Sacramento River Cats organization. Tony gave the best presentation with an emphasis on character, courage, and commitment. He has boundless positive energy and left a lasting impression on members and guests. We look forward to part 2 of his presentation when our speaker chair is able to re-schedule. Thank you Tony for your inspiration, enthusiasm and insight!